Cracks will most likely form either at the top or the bottom of the walls. Sometimes the cracks are obvious and other times they are small and difficult to find. Use a flashlight to provide light to help find wall cracks. Look for a white-hued deposit in any area of your walls. This deposit is a harmless deposit that develops on the surface of concrete and is a sign of leaks. Look for paint that has peeled or bubbling. Look for spots on your basement wall, ceiling, or floor that have accumulated mold or mildew. Look for any lifted floor tiles or rust around metal appliances. If you notice any wall leaks in your Iowa or Nebraska home or business, contact Jerry's Waterproofing before it gets worse.. 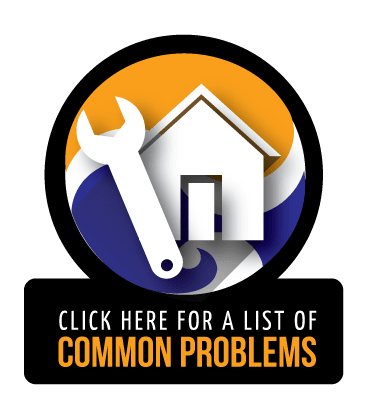 Some basement water leaks can be fixed by correcting the grading of the land around your home. Then, by adding extenders to your gutters and downspouts, you will distance the water from around the foundation. Interior drainage channels are installed underneath the slab floor and wall of your basement. This will catch the water and direct it to a sump basin which then triggers the sump pump to activate, draining the collected moisture out of the basement. 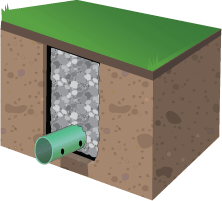 A French drain system uses drain tiles with perforations or holes to allow water to flow through. Gravel is placed around the drain tiles to direct the path of the water. Geotextile fabrics are inserted onto the gravel to enhance the filtration process. Waterproofing your basement is important to help keep your investment safe and keep its value up. Jerry's Waterproofing also offers crawl space repair using a vapor barrier. This vapor barrier will keep your crawl space dry and prevent mold and mildew along with keeping unwanted pests out. The basement waterproofing products that we use are manufactured by Earth Contact Products, the very best waterproofing products made in the industry. 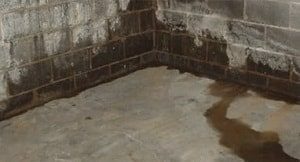 So if you have basement wall leaks or any other basement waterproofing need, contact the professionals at Jerry's Waterproofing. 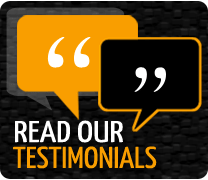 We have the experience and products to get your basement dry and keep it that way for years to come. Contact us today.